The night before Christmas Eve one of Santa’s less-famous reindeer, Flander, hopes to have a chance to make the team in case there’s a last minute cancellation by one of the top nine. 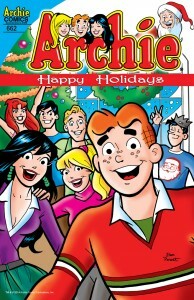 He goes out for a test flight and gets lost in a terrible snowstorm—and winds up literally “crashing” at Archie’s house! Now it’s up to Archie and Vegas to get Flander back to the North Pole. 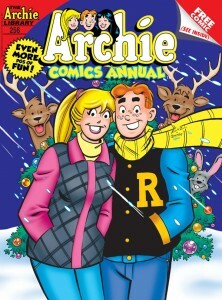 See if they can fix this Christmas conundrum in “It Looks Like Reindeer!” the all-new lead story to this comics annual! 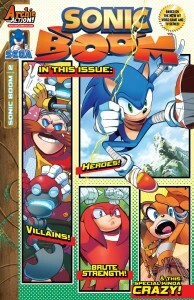 Archie, archie comics, comics, First Look, on sale today, Sonic, sonic boom. Bookmark.